Wilder Kabinett is a Music Composition written for “Naturalis Historia“, a 3D Video Mapping Installation by Italian visual artists Apparati Effimeri. 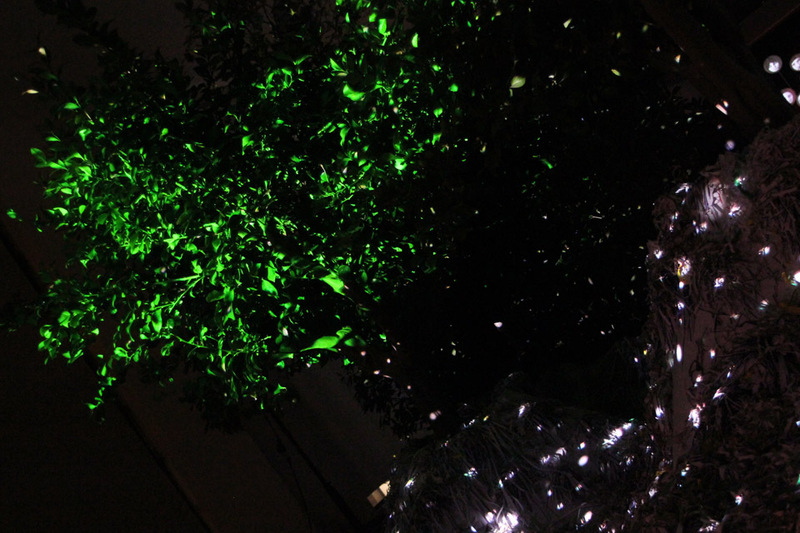 “Naturalis Historia” is a tree projection by Apparati Effimeri, presented at Digital life 2012 (Digital section of Roma, Europa Festival ). 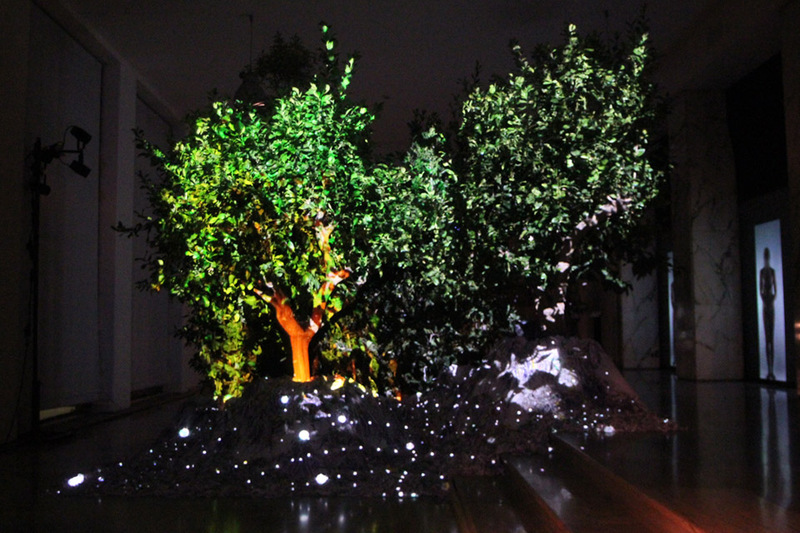 The images are projected on real trees. The musical work has been composed together with the images, aiming to investigate the opposition and coexistence between natural and digital world. For the music the author chooses a pretext: a tree abatement. The investigation is about the possible preconditions and consequences of this fall. The piece proposes a structure that is not organized on the basis of temporal action developments. On the contrary some aspects of the tree abatement are analyzed by a temporal microscope, that is each time different. The sound material originates mainly from the a field recording of a tree abatement. Moreover a double bass has been used, in order to achieve tension and to achieve sounds that evoke animal roarings. Pictures and video courtesy of Apparati Effimeri.